Feeling the roving flow through your fingers is just plain fun! Enjoy creating the yarn that will produce a genuinely unique item! 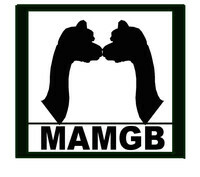 MAMGB Greenbriar Farm raises black fleeced (with a few other colors mixed in) Alpacas in Waukesha Wisconsin. 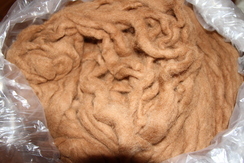 Please feel free to give us a call and schedule your farm tour to meet the animals that produce this wonderful fiber! Roving is not heavy, but can be bulky (unless it it compressed), please contact me if you believe the freight costs for the amount of roving you require are high. We should be able to work something out.